Saul Rajak is an ophthalmologist. He consults and operates in general ophthalmology including cataract and cataract surgery, dry eyes, ophthalmic emergencies and trauma and glaucoma. 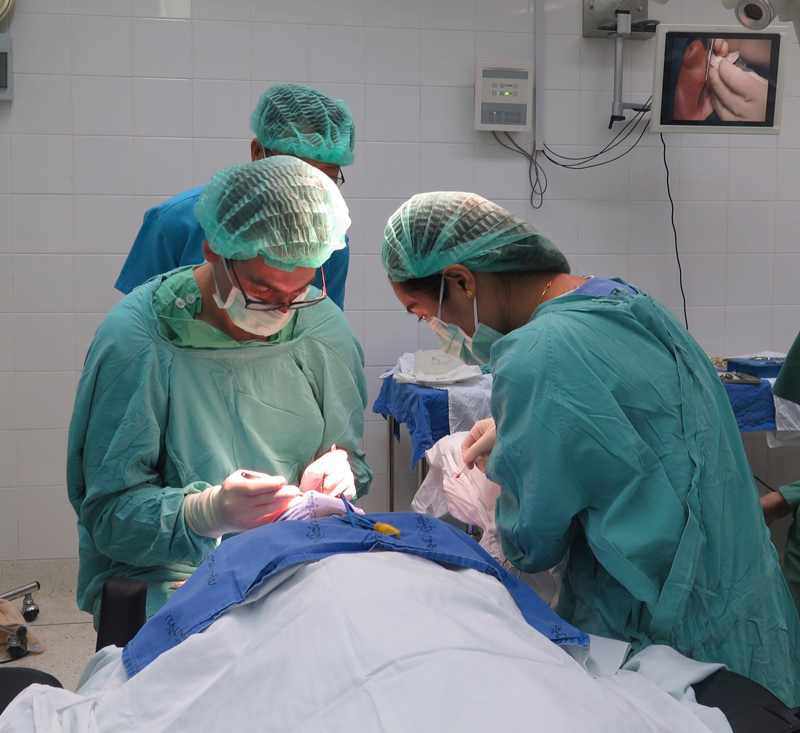 He has a specialist interest in eyelid (oculoplastic), tear drainage (lacrimal) and socket (orbital) surgery including endoscopic lacrimal and orbital surgery. He is internationally known in these fields. Mr Rajak graduated from Nottingham in 2000 as one of 5 students in his year with Honours and received several undergraduate prizes. 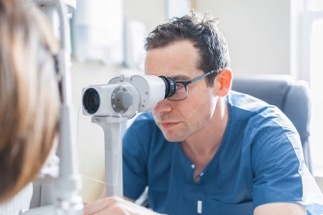 He undertook specialist ophthalmology training in the London region including at the Sussex Eye Hospital, Moorfields Eye Hospita and St Thomas’ Hospital. He did his first fellowship in oculoplastic (eyelid), orbital (eye socket) and lacrimal (tear drainage) at the Sussex Eye Hospital and his second fellowship at The Royal Adelaide Hospital, Australia. This is one of the most prestigious and demanding fellowships in the world and incorporates extensive training and surgery in many oculoplastics, but in particular eyelid tumour surgery, endoscopic surgery, lacrimal and orbital surgery (under pioneers in this field, Professor Dinesh Selva, Professor PJ Wormald and Associate Professor Alkis Psaltis), thyroid eye disease management and surgery and major combined head and neck cases with neurosurgery, craniofacial surgery and plastic surgery colleagues. Mr Rajak is a highly accomplished oculoplastic, cataract, orbital and lacrimal surgeon surgeon. He has undertaken over 150 endoscopic dacryocystorhinostomies (DCR) and performs endoscopic orbital decompression surgery. He has performed over 1500 cataract procedures. Mr Rajak is known internationally for his surgery training video website: www.eyesurgeryvideos.net which has hundreds of edited, narrated surgical videos demonstrating techniques, pathology and anatomy for a wide range of oculoplastic, orbital and lacrimal conditions. • Eyelid tumours: principle investigator of laboratory research into the genetic pathways of sebaceous gland carcinoma which is a rare but potentially fatal eyelid tumour. • Orbital inflammation: investigator examining the clinical and laboratory features of inflammatory diseases of the orbit. • Trachoma: His PhD thesis entitled ‘studies into the management of trachomatous trichiasis’ was undertaken in Ethiopia, through the London School of Hygiene and Tropical Medicine. It investigated the features and surgical treatment of the scarring stages of trachoma, which is one of the commonest causes of blindness worldwide (over 2 million blind). The findings of the research, which have been published in highly acclaimed peer-reviewed journals have resulted in major improvements in the management of this blinding eye disease worldwide. • Lacrimal (tear drainage) investigations: principle investigator of studies to develop MRI imaging of tear drainage and investigator in studies comparing imaging modalities for lacrimal drainage disorders. Mr Rajak is a very active clinical and surgical teacher. He runs an intensive oculoplastic training fellowship and trains numerous junior ophthalmologists.